There’s been a lot of talk in Australia recently about adaptations of old plays into “new works”. And there’s a constant refrain that Hollywood has lost all imagination, which is why mainstream fare is so often based on something with brand recognition – a comic book, a superhero, a television series, a remake. And it’s easy to bemoan remakes and reboots, prequels and sequels – especially if you have a fondness for the original movie. Or TV series. Or comic book. Or theme park ride. Bryan Fuller’s new TV series, Hannibal, is based on the characters that first appeared in Thomas Harris’ book, "Red Dragon" – first published in 1981. That book has already been made into a film twice: Manhunter, a lean thriller from Michael Mann in 1986; Red Dragon, by director Brett Ratner in 2002. 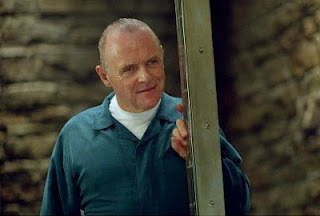 The character of Hannibal Lecter first appears in "Red Dragon", but he’s most famous for appearing in Thomas Harris’ sequel, "The Silence of the Lambs" (1988) – and the film of the same name (1991). The popularity of the character in the film, where he is played by Anthony Hopkins (who won an Oscar in the role), led to both a sequel – "Hannibal" (novel 1991, film 2001) and a prequel – "Hannibal Rising" (novel 2006, film 2007). Dr Hannibal Lecter is imprisoned by the time of "Red Dragon" and its sequels, but his back story is alluded to in the original novel – he’s a psychiatrist who is also a serial killer and cannibal. Will Graham, an FBI profiler, is the lead character in "Red Dragon" and functions much like Clarice Starling does in "Lambs" – he is trying to track down a serial killer and must use Lecter to help him catch the killer. Unlike Clarice Starling, who is fresh out of the Academy, Will Graham has a history of tracking down serial killers – including the Minnesota Shrike, as well as the Chesapeake Ripper, who turns out to be Hannibal Lecter. The tension between fresh-faced Clarice and Lecter is based mostly on her naivete; can a brand new agent really deal with the psychological warfare that Lecter will wage against her? With Will, it’s about the two characters’ history together; Will put Lecter in jail. Lecter almost killed Will in the process. Hannibal, the television series, is a prequel to those events. And creator Bryan Fuller has fleshed out the lightly disseminated back story from Red Dragon into a first season of tense, intriguing and mesmerising television. Harris sketched the background of these characters in only a few pages in his original novel; Fuller uses the knowledge we have from the books and previously-made films to play with our expectations and flesh out a part of the story we’ve never seen. Prequels often come with a lot of baggage. We already know what’s coming. Our instinct is usually to know what happens next, not what came before. But in this case, the series also feels like a remake and a reboot all at once. Fuller isn’t telling the backstory of Anthony Hopkins’ version of the character or Brian Cox’s version of the character. He’s recreating Harris’ characters for the modern day, which planning on retelling the entire Hannibal saga over seven seasons. In many ways, because this is a reinvention of the story of Will and Hannibal and Jack Crawford, the show can both play toward and against expectations. We know where the story is headed, but we don’t know how we’re going to get there. We know Hannibal is the Chesapeake Ripper and we know the delicious meals he serves are helpings of people, but the other characters don’t know that and don’t suspect him. And we know Will Graham is the genius who finally and eventually puts Hannibal behind bars, but he doesn’t have enough information yet – though throughout the first season, he starts to put the pieces together. The stag that he sees in visions during season one clearly represents Lecter, without the character himself actually being able to put the pieces together. Silence of the Lambs is one of my favourite films and Harris’ first two Lecter novels are great page-turner thrillers. The franchise gets problematic after that, both on the page and on film, but the characters of Lecter, Will and Clarice are some of my favourite fictional characters. The notion of this series sort of puzzled me, but Fuller and his crew have pulled it off brilliantly. 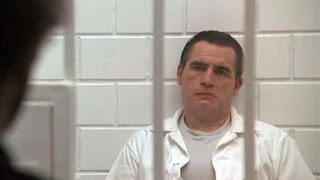 In "Red Dragon", we know that Will investigated the case of the Minnesota Shrike and after that he was institutionalised. The first season deals very much with that part of Will’s backstory. We may wander down paths that Harris never intended, but we still keep merging with the story that we already know; Will must eventually put Lecter behind bars. 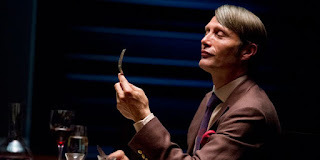 The show also alludes to how Will might eventually put the pieces together, foreshadows Lecter gutting Will with a knife, re-uses the famous line of dialogue - “having an old friend for dinner” - and gives a wink to the character of Clarice Starling but putting a proto-Clarice character into Jack’s past in the guise of Miriam Lass. If Fuller gets to make all seven seasons of his show, these pieces will more neatly fall into place. In this age of spoilers, propagated so quickly by social media and message boards and blogs, Hannibal is almost spoiler proof. The twists and turns from several seasons hence are already known to most of the audience. You can spoil yourself now by reading "Red Dragon" or watching Silence of the Lambs. But until we get to those points in the series, Bryan Fuller has a lot of breathing room – and lot of distance where he might flex his creative muscles. The opening scene of the television series quickly puts us inside Will Graham’s head and we are treated to a visual representation of the “pendulum” he must quieten in his mind, an image straight from Harris’ novel. The final scene of the first season inverts a very famous image from the film Silence of the Lambs (scored by music from Ridley Scott’s Hannibal); a remix of ideas from several incarnations of the characters of Hannibal and Will. And the television series is richer for it. Adaptations, prequels, sequels and reboots are a risky business because people have strong emotional investments in stories from their past. Those films being remade have brand recognition for a reason; people already love them. Hannibal uses the affection we have, if the word affection can really be ascribed to a serial killer who is a cannibal, for a character and a collection of stories that we’ve already seen play out once. The show takes us back to the beginning and we get to see a fresh cut of the meat of these characters and this world. Fuller’s plan for the show is to remake Red Dragon as Season Four, Silence of the Lambs as Season Five, Hannibal as Season Six and have a seventh season to wrap everything up. He will be putting some characters from "Hannibal" into Season Two. And he is negotiating with MGM for the rights to Clarice Starling and Jame Gumb, so let’s hope that will happen.